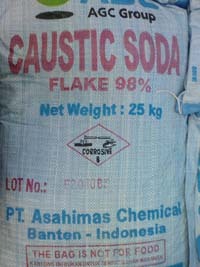 The most important type of caustic in commercial way. It is used as the principal strong base in the chemical industry. In bulky quantity, it is most often handled as an aqueous solution, since solutions are cheaper and easier to handle. It is soluble in water and alcohol.